A Lightbox is an elegant approach to your web design with better media engagement. Basically, it features an image or video on the screen whereas the whole web page dims out. The web page remains visible only around the edges. It helps a visitor to be well-focused on the image or video. This is really impactful in displaying images/videos, opt-in forms, newsletters, slides, etc. If you are running a photography site, then a lightbox feature is a must one for you. And, WordPress lightbox plugin is a great tool to convert your call to action. The WordPress lightbox plugin easily makes your media content look more beautiful. WordPress plugin directory provides more than 750 WordPress Lightbox plugins. These will allow you to add a lightbox feature to your website in no time. But choosing one out of hundreds of available plugins is a cumbersome task. 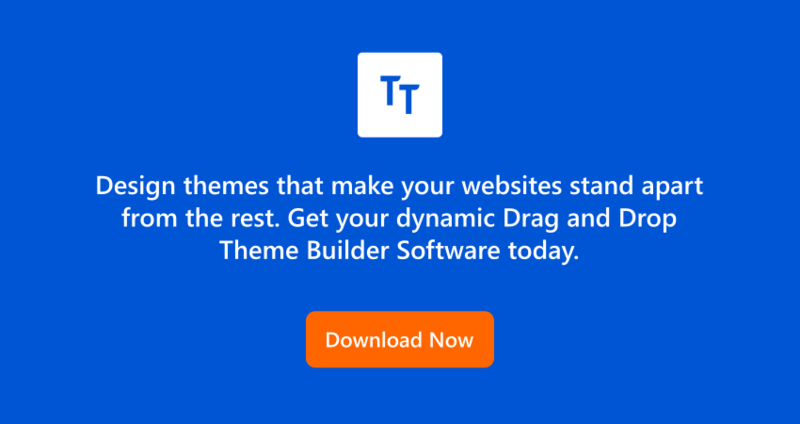 So, Here at TempateToaster website design software, I tried to make it easy for you by enlisting some of the best WordPress lightbox plugins. Let’s go through it. Easy Fancybox plugin is quite similar to WP-Featherlight jQuery lightbox plugin. It uses a Fancybox lightbox and WP 3+ multi-site compatible. It opens up all links to JPG, GIF and PNG images in the Fancybox. It also supports the hidden inline content. It has a 4-star rating. Easy-Fancybox is compatible with WordPress media plugins. It links to YouTube, Vimeo, Dailymotion, and flash movies. It easily links inside Gravity Forms in Ajax mode. It supports all common image types like webP, image maps, SVG etc. Simple Lightbox is a quick, lightweight, easily customizable plugin. It is preferable to many complex WordPress lightbox plugins. It has a long list of customizing options. Such as resizing of the lightbox, lightbox effects, and keyboard navigation for images etc. You can apply lightbox to almost everything: pages, posts, widgets, menus, etc. It also displays the metadata with media files. It is well-rated with 4-star on WordPress. It automatically activates the links without any coding. It also provides many customizable lightbox animations. It facilitates group image links. Responsive lightbox is mainly designed for all screen-size of mobiles. It enables you to see better photos in a new window. It allows you to add lightbox to WordPress image galleries, image/video links, comments content, etc. This plugin has a huge user base with 4-star rating. It selects from 7 responsive lightbox scripts. Including (SwipeBox, prettyPhoto, FancyBox, Nivo Lightbox, Image Lightbox, Featherlight, and TosRUs). It has an option to display single post images as a gallery. It can modify native WordPress gallery links image size. It supports WooCommerce product gallery. You can use the image’s title, description, caption, alternative text in the lightbox. It gives a multi-site support. Ari Fancy lightbox is a mobile-ready plugin. It can be used with different content types. Such as native WordPress images, NextGEN, FooGallery, Justified Image Grid and Jetpack galleries. Also includes photos, videos from YouTube, Vimeo, Dailymotion, Vine, Metacafe services, PDF documents, Google Maps links etc. It’s really easy to use & automatically attaches to all the links on your website. It also provides UI interface to change lightbox styles. It has a 5-star rating.It can load get smart titles from EXIF data or use filenames for images. It gives easy one-click integration with WooCommerce. It allows you to disable right click for images to avoid copying URLs. It supports slideshow mode and loop navigation. It provides thumbnails toolbar for fast navigation between lightbox items. It uses Fancybox3 and highly customizable. Foobox Image lightbox is a stylish plugin with a modern interface. It was the first WordPress lightbox plugin to consider responsive layout seriously. It offers the lightbox with social icons to share your images easily. It is compatible with popular most of the WordPress gallery plugins. Like Envira Gallery, NextGEN Gallery, Jetpack etc. It has a good repo with a 4-star rating and huge user-base. It automatically resizes images, videos, and HTML files to match your screen size. It provides inbuilt social sharing for each file. It supports YouTube and Vimeo video formats for lightbox. WooCommerce product images can be displayed in a lightbox. It needs no configuration at all. WP Lightbox 2 is another one of the best WordPress lightbox plugin . It adds a responsive lightbox effect to all your images and gallery photos for the blog. It has many options to set Animation duration, resize large images, change image info position etc. It is easy to install and comes with 5 different themes. It gives an excellent user-experience with 4-star rating. It may have compatibility issues. It works on all modern browsers. You can use lightbox for comments too. It can group images to display as a slideshow. It is fully-responsive & works well with all WordPress versions. WP jQuery Lightbox is built around Lightbox-2 functionality. It also provides the live browser orientation adjustment. It gives a download link for each file. WP jQuery Lightbox requires WordPress 2.9.2 or higher. It is compatible with versions up to 3.1.4. It is well adjusted for mobile devices. It has a wide user following, with a 4-star rating. It is no longer maintained and may have compatibility issues. It provides full localization support. It also offers an admin panel for configuration. It includes an autoboxing feature for your image links. 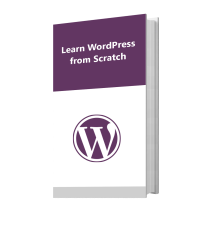 It supports WordPress galleries with media library titles and captions. WP Video Lightbox plugin makes use of lightbox overlay display to embed videos. You can easily use it for images, flash, YouTube, Vimeo, iFrame etc. It offers you a configurable pretty photo library. You can also set the different animation speed as fast, slow, normal. It has a 4-star WordPress rating. You can watch videos easily on iPhone & iPad with it. You can easily resize a photo plus expand a resized photo. It allows you to set a default height & width for the lightbox window. You can set an autoplay mode for videos/slideshows. It retrieves the thumbnail for your video automatically. jQuery Colorbox comes with 11 separate customizable themes. It is compatible with WordPress image galleries and the NextGen Gallery plugin. It has image grouping, gallery grouping, group slideshow capabilities. It provides configurable CSS classes and the ability to display externally linked content. It is compatible with versions up to 3.2.1. It has a 4-star rating. It supports ajax, inline, and iframed content. It has the ability to extend with callbacks & event-hooks without altering the source files. It preloads upcoming images in a photo group. It has a multi-lingual support. Lightbox by HUGU is a great WordPress lightbox plugin that comes with modern dashboard to view images & videos. It has an interesting design that allows you to select style, speed, loop for slideshows etc. It works with Vimeo and YouTube videos only. It can create mobile-friendly content by adapting displaying of the device. It facilitates three image frames in the free version. Whereas, it has twelve different types of popups for your images. It’s a kid play to use this WordPress Lightbox plugin. It has a 4-star rating. It offers 5 lightbox views in old type and seven in the new type. You can watermark the images when they open in a lightbox. It provides social share buttons. You can set a full-screen view of images. WP Featherlight is one of the best WordPress lightbox plugin. It is a simple jQuery lightbox plugin that opens all the images and videos in a minimalist lightbox. You just link to Media File option every time you upload a new image or gallery. You can also lightbox videos, iframes, Ajax content along with images. It can work on all modern browsers and on mobile platforms. It has solved the user’s problem of heavy-handed styling. It’s a popular WordPress lightbox plugin with a 5-star rating. WP-Featherlight is extremely lightweight & flexible. You need not configure it. It automatically adds lightbox to your media elements. It gives the option to disable plugin locally for each page/post. It comes in a single beautiful lightbox style. Which WordPress Lightbox Plugins you are use ? WordPress Lightbox plugins improve the user experience drastically by displaying enlarged versions of media. They help to reduce the bounce rate plus visitors can navigate through more images/ videos. So to have a memorable and better presentation of media, you can make use of any of the free WordPress lightbox plugins. You can use any plugin depending on the customization options or installed WordPress version, all are going to benefit you. If you also want a website that can complement the lightbox feature, try your hands on our website builder or WordPress website Builder. You can easily make a stunning website having the latest functionality with it. No coding at all, only a user-friendly drag & drop interface and your site will be ready just in few minutes. So, get ready for a great experience ! !